École Québec Monde is a French language school in Downtown Quebec City, Canada. Our French immersion programs include intensive French courses and private French lessons. We offer courses in French as a Foreign (FFL) and French as a Second Language (FSL). Anyone in the world who wants to experience a French language study stay in Quebec and any public or private companies and cooperations can benefit from our services which are available all year-round. Why learn French with École Québec Monde? Dynamic professors, effective programs and courses tailored to your needs is what you get if you choose our school. We're offering a unique and personalized approach which enables our students to immerse in a Québecois environment and the Quebec’s “joie de vivre.” Professional management staff and professors, a warm atmosphere and an extraordinary geographical situation make École Québec Monde the best choice. Wish we\'d planned another month! My wife and I took a one-month French intensive @ Ecole Quebec Monde (EQM). The course material was excellent, as was our teacher, Marie-Michelle. MM was the very best, fun, creative, patient, explained grammar and phonics well; she is a very talented teacher in every way. Homework was manageable, and not excessive. If we had known how well we would progress, we would have planned at least another month. If you want to learn French, this is a great place to do it! Quebec City is a nice place with good public transport. From EQM the attractions of the Old City were easy to get to on foot or by bus. There are plenty of museums and places to see during your free time. EQM placed us in a host home with a very helpful and hospitable Francophone couple, Anne and Renee. Both were very good cooks, and they took us on a fun outing each weekend, to see historic sites and other places of interest. It was easy to get to the school on the bus, and they lent us public transport passes. We paid for the month, but didn't have to purchase the card itself. They also have bicycles to lend, if you're there during warmer months. I have been to Ecole Quebec Monde for French lessons twice, in June 2013 and July 2014. The first time I went for a month and the second time I studied for 2 weeks. I was in class both times 20 hours a week and also stayed with a host family. Ecole Quebec also offers private lessons. The students are very diverse, from all parts of the world and not all of them speak English. But the one overriding rule at Ecole Quebec Monde is that you must only speak French on the school premises and that gave us all a common language. The teachers are excellent with a variety of exercises and interactions to keep our attention and interest for 20 hours a week. Also I recommend the home host experience. I stayed with two different families and each had something unique to contribute to my Quebec experience. Quebec City is beautiful to explore with museums, parks, and city sponsored music festivals. 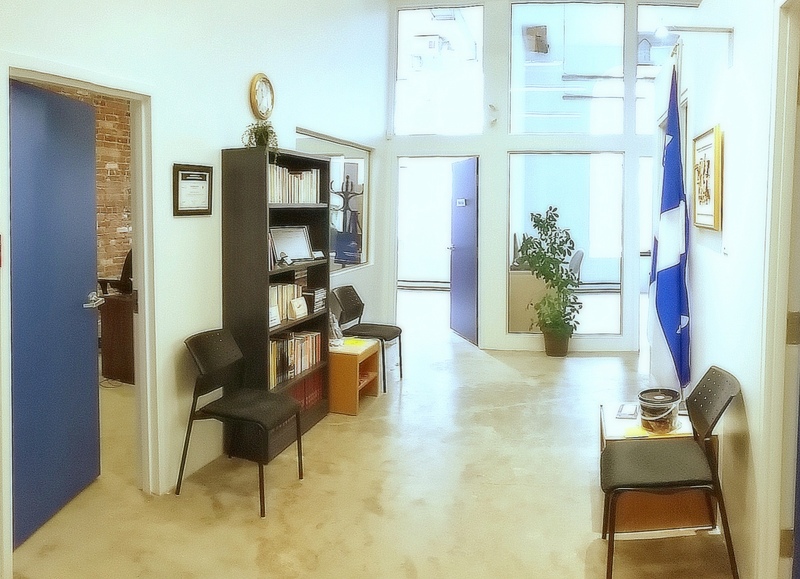 I highly recommend Ecole Quebec for the novice, intermediate or experienced French speaker. I know that I will return. Prior to the beginning of our language training, my wife and I researched French Immersion programs throughout France and Canada. Ecole Quebec Monde stood out above the rest in its commitment to produce an effective learning environment. The school rests in the heart of Quebec City providing a true immersion experience in an absolutely fascinating city. I was impressed with the staff of EQM from the very first time I contacted its director, Madame Viviane Brassard. The staff has been beyond kind, accommodating, and enabling in our journey to learn French. You will not find another school to match the flexibility of courses and private lessons, the ability to make learning French enjoyable, or a kinder staff. Though we have three young children that have kept us quite occupied during our language training, my wife and I now have a great French base in which we plan to continue to build on in the years to come. Merci Ecole Quebec Monde! Hochmotviertes Lehrpersonal, kleine Klassen, Niveau den Fähigkeiten angepasst. Very expensive waste of time. They don't tell you until you arrive that you won't get the 4 hours a day you paid for because they don't have enough students to make even a small class. So you get only 2 hours a day and you're all alone. I left 2 weeks early because I was bored to tears, frustrated, discouraged and angry. There is only one good instructor who is actually fun, encouraging and effective. But I had 4 teachers in 3 months who couldn't inform the next so I was told the same things over and over. The school makes no effort whatsoever to help you use your time in Quebec effectively. They just hand you a tourist map on day one. They knew which exam I was preparing for but did nothing until I complained loudly about how irrelevant and useless my sessions were. The useless exercises just continued. They make a point on day one of drawing your attention to the conflict resolution process and now I know why. I imagine they must have their share of conflict. Oh, and there are rats in the building too. All in all a phenomenally expensive and worthless experience. Reduction of hours stated in website and to client's gain(being able to work solely on test prep).Teachers speak w. each others, aware of client's needs,requests and goals. Changing prof. part of strategy. Prepared many clients for same test,well informed on how to do so w. proven results. Client arranged lodging; we put her in contact with host to do activities, to no avail. Client's personal interest should be considered in lack of satisfaction.Rat instantly dealt w. RIP. Btw no conflict ever! D'abord, l'accueil est très chaleureux et professionnel. De plus, les professeurs sont compétents et la taille limitée des groupes facilite grandement l'apprentissage. Je sens que l'Ecole désire vraiment la réussite de ses étudiants. I thought I would like to study in Quebec and found this French language school online. Did I make the right choice! Quebec is a small, manageable, quaint city where French is dominant, but has many interesting things happening all the time. The flexibility of the schedule allows you to arrive and leave on any given week. Of course, this affects the curriculum as students are rotating in and out of classes. The price of the classes with a home stay can not be beat (cheaper than a hotel alone). The staff are very helpful and accommodating. Quebec is a great place to learn French for an English speaker, because if you do have any difficulties communicating, most people speak enough English to help you out. If you really want a French immersion experience, go to Quebec, not Montreal.